Dandelions have long been one of my favorite plants. It is the very first medicinal plant I met in the spring of my 17th year. Who didn’t pick the white blossoms and blow wishes to the wind? I remember the hippies who came and asked to pick blossoms in the front yard for wine, digging dandelion root with a friend to make a tincture and the leaves for steaming with other greens. 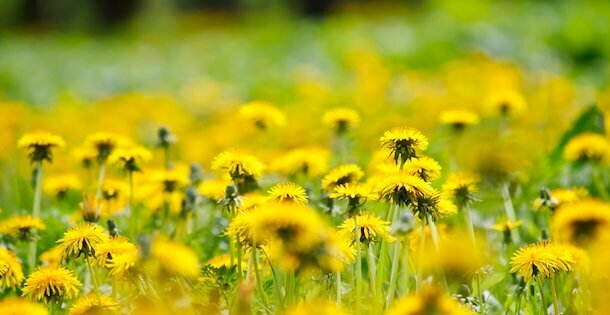 Let’s not poison our dandelions. Let’s put them to good use. The flowers are valued for wine and used in cosmetics. The leaf creates a nourishing tea full of minerals, the root acts as a diuretic and supports the liver. Rather than robbing the body of potassium as many diuretics do, it contains potassium. Dandelions root and leaf have long been used for a cleansing spring tonic to remove congestion from the body after a winter of eating heavy foods. Dandelion Root is an effective blood purifier and tonic to the kidneys and liver. By helping these organs break down congestion it has been used for breaking down “stones.” Jaundice has been treated with Dandelion root because it has a high mineral content. It is nourishing to the blood and may help to neutralize toxins and acids in the bloodstream. Dandelion flowers steeped in oil create a nourishing oil or cream that are thought to help fade spots related to aging. Harvest first thing in the morning and dry immediately to prevent the blossoms from closing. Fresh Dandelion leaves are a nutrient rich in salads or steamed. For salads or steaming, they are best picked young. Older more bitter greens are excellent for tea or tincture making. Pick, chop, and place the leaf in a bag in the freezer. Now it can be used either as a tea or to create a Dandelion leaf pesto!! Let’s not forget about their use in wine!! You’ll need freshly picked blossoms for this easy recipe. Combine water and blossoms in a crock. Let stand 24 hours then strain. After 24 hours add the rest of the ingredients. Let the mixture sit for 3 weeks then bottle. Age the bottles for at least 2 months, a year is better. I used a large glass jar and capped it with a balloon that inflated and deflated as the wine worked. Mine worked for 5 weeks, so use your own judgment on this one.